Recipes | Dessert Darling at my brother’s house. Luckily, his wife is not only a fabulous cook, but also a great recipe blogger! These no-bake goodies take 30 mins to prep, 30 mins to make, and are fun to roll and eat! 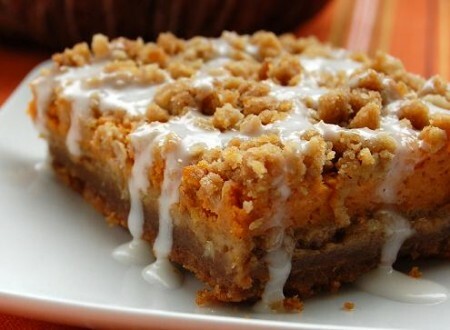 Click here for the recipe on CookingSF! This buttery frozen dessert literally looks like THE most delicious thing on Earth. The only thing that this recipe seems to be missing is real vanilla ice cream. I’d swap out a layer of frozen whipped topping for some good ol’ ice cream. YUHM! To see the recipe from AllRecipes.com, click here. 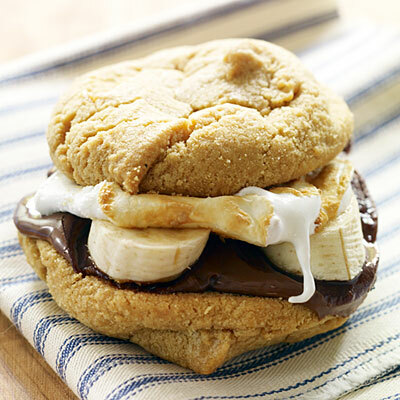 For scorching days, it’s nice to have a light, bouncy option for dessert. I use to make an awesome New Zealand Pavlova myself as my high school calculus teacher was from New Zealand and gave us the recipe. She would say things like “nig five” for negative five and tell tales of stuffing sheeps’ mouths with large jaw breakers out of boredom. Alas, I digress. 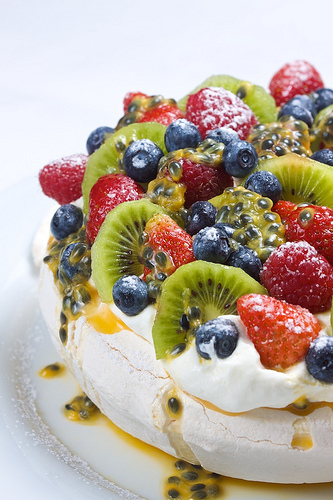 How Gorgeous is this Pavlova?!! And really, they’re not hard to make. 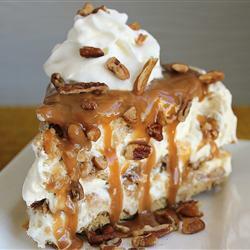 To see how the Internet Chef made this low-fat beauty, click here. 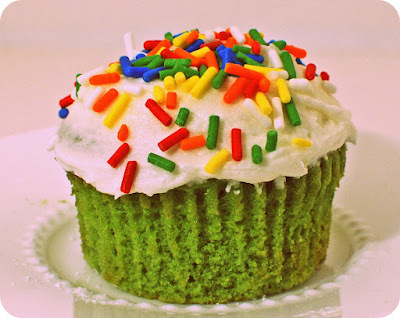 Today I’m featuring this charming cupcake by A Little Nosh because she cleverly used spinach to color her cake green instead of artificial coloring. Brilliant! Click here for her full recipe. 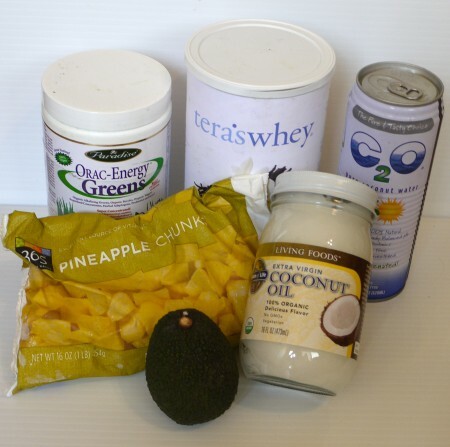 Always buy organic ingredients when possible to avoid fattening “FrankenWheat” with GMOs (more info here)! Have a safe and Happy St. Patty’s day!!! I had the best time the other day baking with Leslie Durso, aka, Veggie Dream Girl. 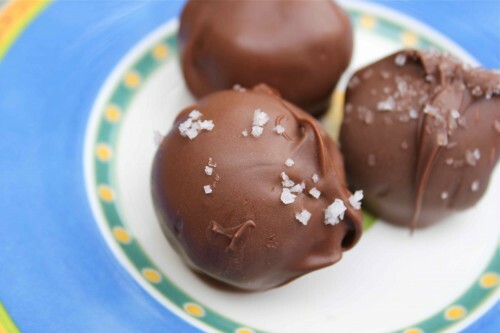 We thought we’d experiment together by making our first batches of Cake Pops (also known as Cake Balls or Truffles). The first time I had Cake Pops I about died on the spot. I was convinced that this dessert was going to be the new cupcakes. Hmmm. Let’s put a pin in that thought. WHAT ARE CAKE POPS? Cake Pops sound so simple at first. 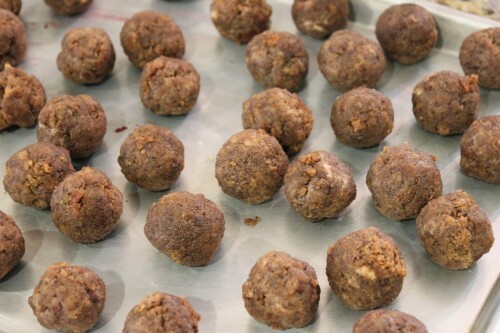 You mash cake and icing together, roll the mixture into balls, and then coat them in chocolate! We decided to make one batch Banana Bread with Butterscotch Frosting, dipped in Milk chocolate and one batch Red Velvet cake with Cream Cheese Frosting, dipped in White chocolate. The process clearly revealed that the quality of ingredients and the proportions make a world of difference. 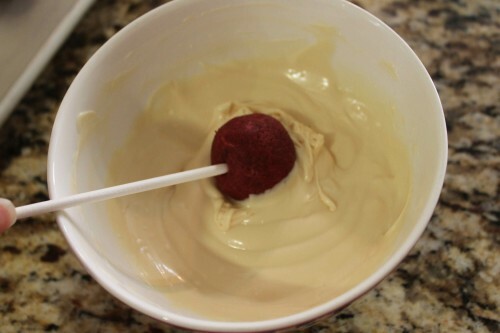 We put too much frosting in the red velvet cake mix, which resulted in them tasting way too sweet. Leslie was also turned off by the brand of melting chocolate that we used, though I appreciated it’s ability to firm up as quickly as it did. We also wondered if cake truffles really need normal, sugary icing. When you have such a sweet chocolate shell, something a bit sour, like plain cream cheese mixed in with the cake might help to temper the sugar. 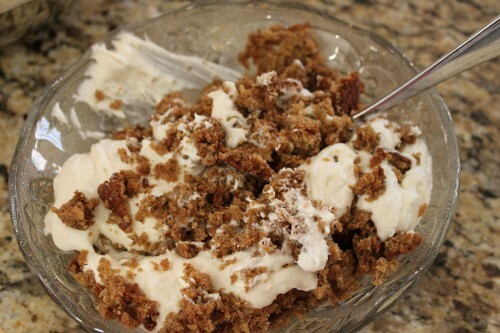 Or perhaps throw in benign ingredients like walnuts, pecans or pistachios, depending on your cake choices. Another option would simply be to use a less sweet chocolate to coat the balls. 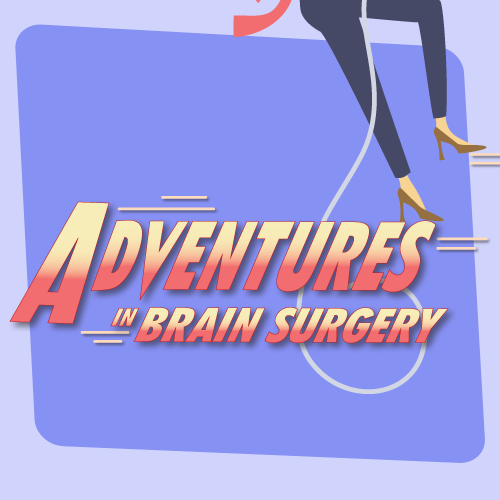 Check out Leslie’s blog by clicking here! 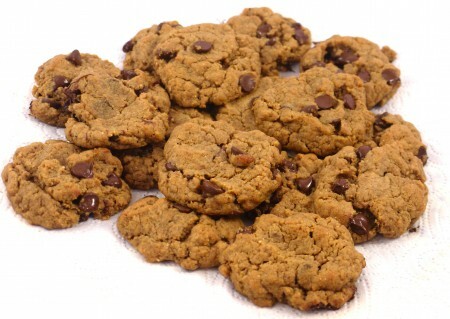 Best Gluten Free, Vegan, Peanut Butter Chocolate Chip Cookies Recipe! Last week I explained what GLUTEN FREE means in this post here. Today I am sharing with you a Super awesome, Vegan and Gluten Free, Peanut Butter Chocolate Chip Cookie recipe that I adapted from Leslie Durso’s blog (the Veggie Dreamgirl) here. Yes, it is possible to be Vegan, Gluten Free, and Super Delicious. 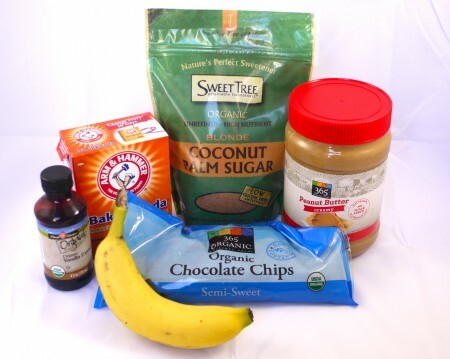 TRY these cookies and see for yourself. Kanom Krok, One of my Favorite Treats in Thailand! One of our favorite treats in Thailand was Kanom Krok, a coconut milk and sugar mixture that’s poured into dimpled pans, topped with a yummy seasoning, and cooked into delicious little hot cakes that are crispy on the outside, and goopy on the inside. Ohlord do I miss these!!! Our favorite ones were topped with a banana slice or coconut bits, but they also had savory options like spring onion and sesame seeds. I just came across this video recipe on the web if anyone is interested in making them! Going Camping in Yosemite, Yee-haw! If you’ve been following my last few Thinny Thursday posts, you know that I’ve swapped out my dear old oatmeal for a new a.m. obsession: Smoothies. Thanks to Dr.Lipman’s book Spent, I’ve found some super yummy and nutritional recipes to start my day. 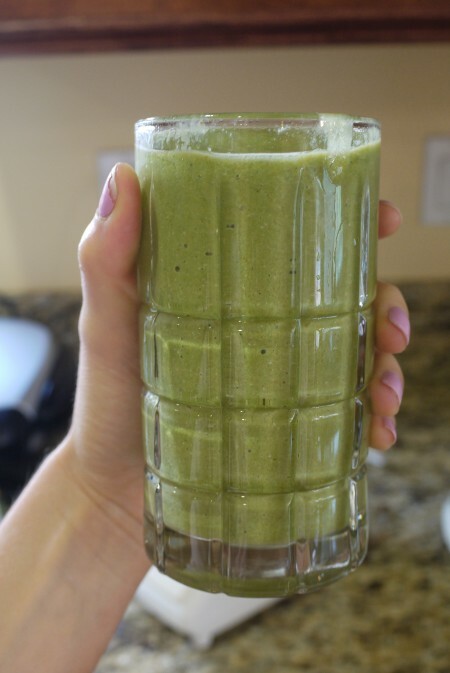 Today I’m sharing with you the recipe for the Greena-Colada Avocado Smoothie which tastes like Hawaii in your mouth! It turns out rather green, but I’m telling you it’s like a momentary vacation!